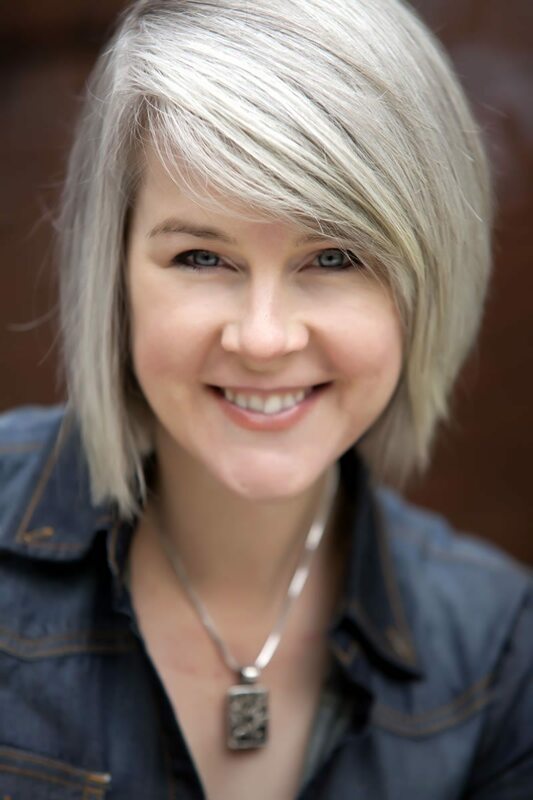 October 2013’s YouMotorcycle Woman of the Month is author Nicole Winters. Nicole wrote a book titled TT: Full Throttle. The book is written for young adults, although we admit to liking it ourselves. Happy, who is currently reviewing the book wrote “It’s a light read and very easy to enjoy and relate to.” Meanwhile, Adrian had the chance to meet Nicole at her book launch last week and we have a great Question and Answer session with her. If you’re good enough to get an invite to the IOMTT, you sure as heck don’t need my advice. 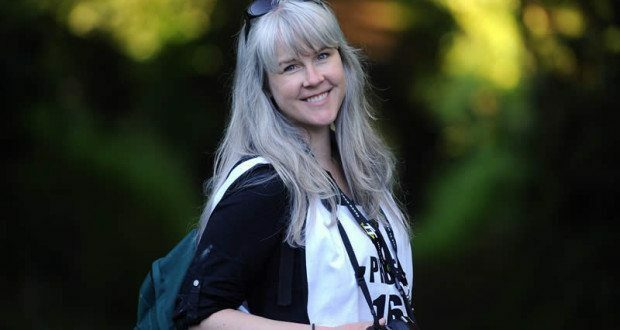 YM: Tell us a little about who Nicole Winters is and what she does? Nicole: I am a young adult (YA) author who writes high interest-high vocab action-adventure stories for reluctant readers. YM: We got the chance to meet at your book launch in Toronto. Can you tell us a bit (a bit more?) about TT: Full Throttle? Nicole: TT: Full Throttle is about Scott Saunders and his roommates turned pit crew who travel from British Columbia, Canada to the Isle of Man in hopes of qualifying for the IOMTT Races. Scott’s a complicated character. He’s obsessed with qualify for the race so he can honor the memory of his deceased father (the two had planned to ride the TT together). However, the harder he tries to achieve his goal, the more he overthinks things, gets in his own way and fights with his crew. In order for him to succeed, he needs to remember what brought him to the race in first place. YM: Your site mentions overcoming difficulties in your education. My mother had to jump through hurdles in elementary school before going on to get her PhD and becoming a university professor. How do we turn more slipping students into success stories? Nicole: Your Mom sounds like a great example of persistence in the pursuit of passion, no matter the obstacle. I think students should know that there are many kinds of intelligence (spatial, musical, mathematical, people smart, bodily-kinesthetic, etc.) and that schools only measure some of these; it’s up to teens to figure out what they’re instinctively drawn to and follow their interests as far as they can. I also think books are a great way to bridge the gap to success. We all need to read no matter what vocation we end up working in, so why force one particular kind of reading (traditional/classical) upon a student who may not like fiction? It would be fantastic to see more diverse material in the classroom such as biographies, fact-based books, well-illustrated non-fiction, graphic novels, etc. 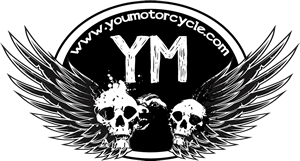 YM: Motorcycles kind of happened by accident in your life. Can you explain to the readers what happened? Nicole: I had co-written a screenplay that they were trying to shoot on the Isle of Man because they have a tax credit for filming, but the project fell through and someone suggested we write about the motorcycle race that takes place there. I thought huh, sports, I could do that (Rudy is one of my favourite films). My writing partner wasn’t as keen, so I wrote a draft. After that, life happened; I graduated with a degree in English Lit from the University of Toronto and somewhere in there I switched from writing scripts to prose. It was only a few years ago that I dusted off the story and thought, I think there’s something here and if I’m going to pursue this, the first step is to visit the Isle of Man and see the race. I applied for a press pass which granted me access to the pits, paddocks, startline, press room – everything. I asked a million questions to riders, newcomers, mechanics, organizers, marshals, press and of course the awesome TT fans. Once they heard I was writing a fiction story for teens they welcomed me with open arms and told me all kinds of amazing adventures. YM: You ended up riding the Isle of Man TT track on the back seat of a motorcycle. How did that happen and what was it like? He asks if I’ve been around the TT course yet and I said no. Shocked, he tells me that I can’t leave the Isle of Man without doing so. So on Sunday, a few hours before my plane departs, I hop on the back of his bike and we go for a ride. It was amazing. The mountain section was still restricted to one way even though the majority of tourists had gone home. Often we were the only ones on the road. We flew. I admit it was a little scary at first, because what TT videos haven’t quite been able to capture is just how narrow their roads are compared to ours. There were also lots of sheep lazily grazing right by the road – literally next to the road – which freaked me out even more than being unable to see what was coming around a lot of the corners because in some places the banks were so high. It amazes me how TT riders are able to memorize 37 ¾ miles of the course. I soon relaxed and enjoyed the ride, knowing I was with a pro and someone who could probably drive the course with his eyes closed – and fast at that. So who was it that gave me my first ride around the TT course? The very charming and charismatic, Nick Jefferies, 64-time qualifying TT rider with 11-TT podium standings. Pretty awesome. YM: You mentioned that there were all sorts of hidden Easter eggs. Any that you’d like to reveal? We promise we won’t tell. Nicole: Haha. There are a lot of scenes and characters in TT: Full Throttle that are compilations of the people I met, the things I saw, or the stories I heard. Here are just three: the startline controller (the woman with in overalls with the ball cap and ponytail) was Nici, who happened to be the owner of the house I was boarding at; I also visited the *real* fairy bridge and yes, I left a note tucked in the cracks between the stones; and, thirdly, there really was a guy who had a huge hunk of meat jerry-rigged to a lathe and would occasionally slice off chunks to eat using his pocket knife. YM: What was the reaction at Isle of Man to the woman from Canada who stumbled in with her head set on writing a book? Nicole: Everyone was so welcoming, I couldn’t have asked for more. Once they knew I was there to write a fiction book for teens, they happily shared their stories. I got a kick out of seeing the passion in their eyes as they talked about the TT and there were so many laughs. I consider my visit there to be one of the most memorable trips I’ve ever had. YM: What was your motorcycle experience prior to that? Nicole: Other than catching the occasional race on TV at the gym (I don’t own a TV) and seeing a few races at Shannonville Mosport Park, I’d never seen a road race before. I watched a 2009 IOMTT highlights DVD and was amazed by all that street furniture on narrow roads flanked by stone walls, I’d never seen anything like it. I made the conscious decision not to over-research the Isle or the Races, or even know the names of the top riders before my trip as it was important that I experience everything from a newcomer’s perspective because my characters had never visited the Isle either. In fact, one of them – Dean – was even new to the sport. Dean served as my bridge between the world of road racing and my North American readers who would also be new to the IOMTT Races. Nicole: I could definitely see myself riding around on a turtle-chaser. YM: What have been some of the biggest challenges and lessons you’ve learned in the process of going from that very first idea of this book to getting it in the hands of students? Nicole: Whenever I mentioned that I was travelling to the Isle of Man I’d receive blank looks, so I knew I was up for a challenge. A few publishers turned down the manuscript with one of them saying that it was a nice story, but they couldn’t corner the market with it. I had to face the facts: YA shelves are dominated with fiction for girls and genre fiction (dystopian, fantasy/sci fi, sick-lit, paranormal romance), so a book “traditionally for boys” about a European motorcycle road race, wasn’t going to have much of a shot. But, I dug my heels in hard and kept at it. You can imagine how thrilled I was when I heard back from Lorimer, a Canadian company who specializes in books for reluctant readers. 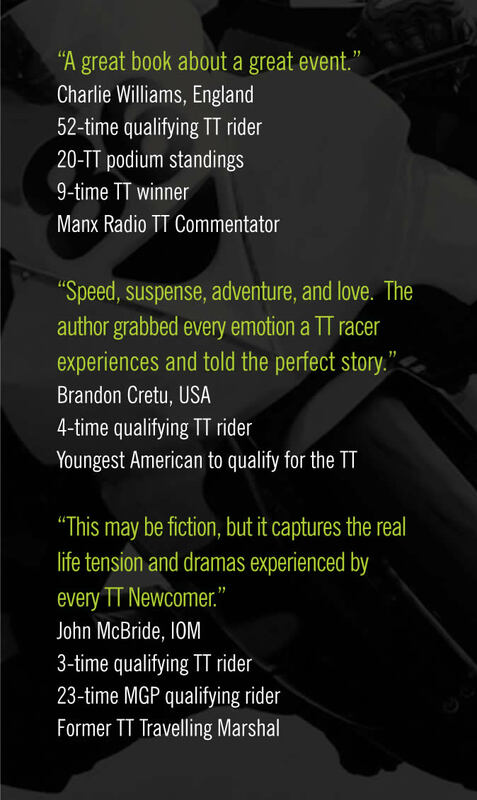 I can’t thank them enough for taking a chance on me and publishing TT: Full Throttle. YM: If you could say anything to anyone in the world right now what would you say? Nicole: If your heart and gut are telling you to go one way even though the rest of the world is going in another, follow your instinct; it’s your path to happiness. Be sure to check out Nicole’s website and TT: Full Throttle on Amazon. 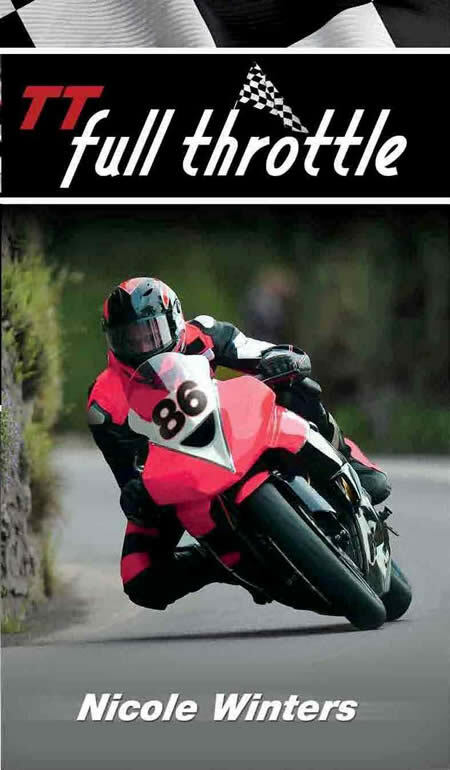 We have a book review coming up, and more Isle of Man TT posts here.